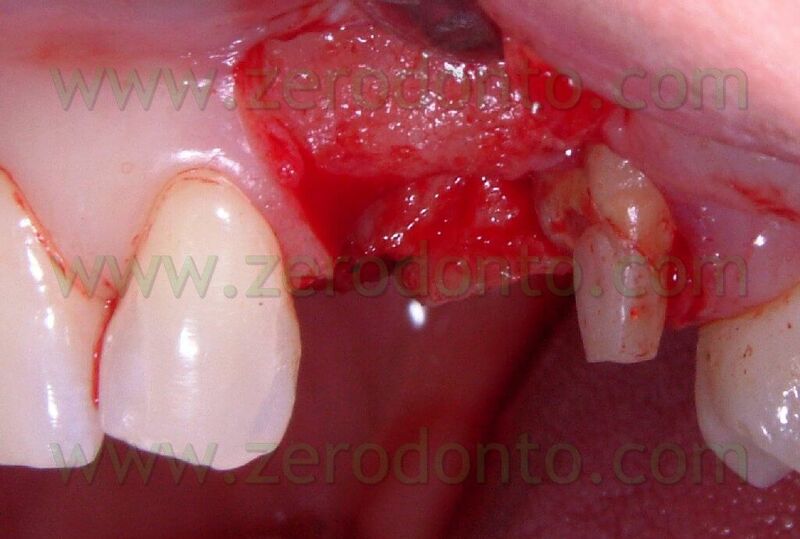 Single tooth replacement has always been one of the most complex challenges for the implantologist. 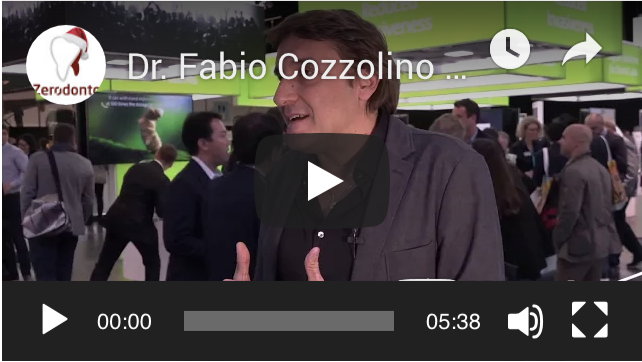 Patients’ expectations nowadays are very high and the slightest error in the operation management can cause aesthetic damages of various degrees. 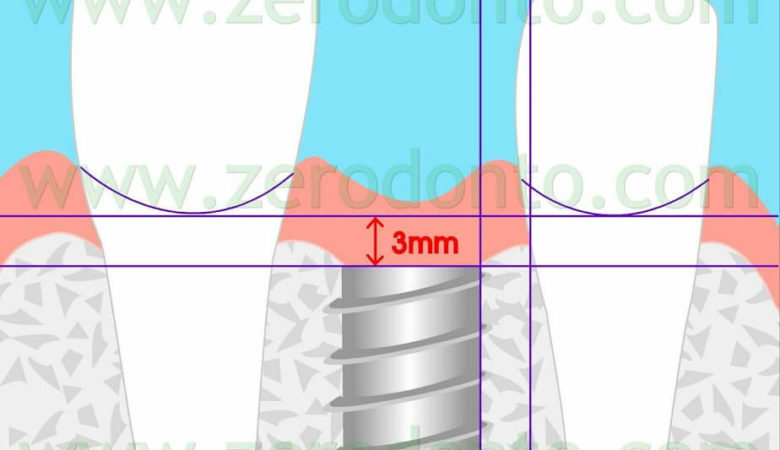 In order to achieve a good result it is fundamental to insert the implant in a prosthetically guided position using also surgical stents: these are of paramount importance to have reference points when surgery is performed. As a matter of fact, it is not the implant that has to be positioned where the bone is present, but it is the bone that has to be regenerated where the fixture has to be inserted. 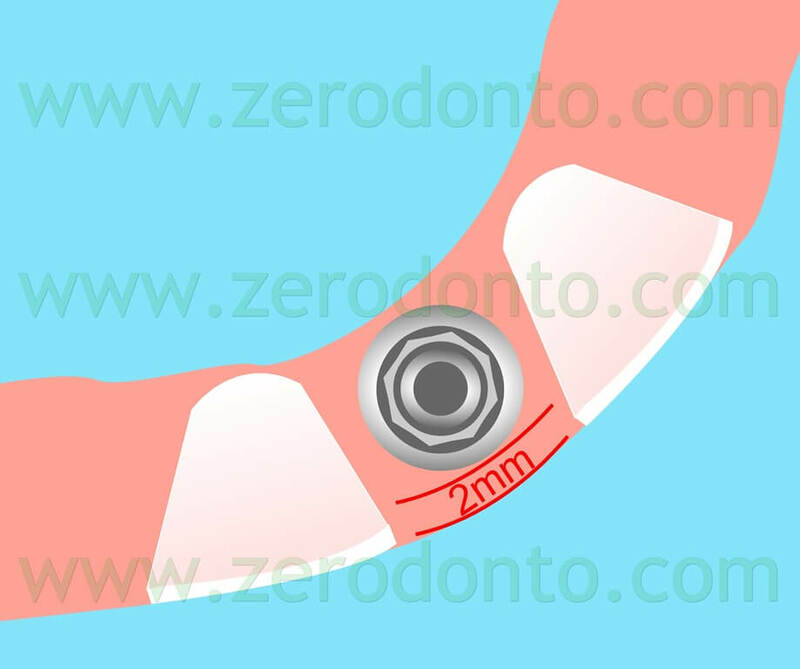 In M-D sense, the implant has to be inserted in the centre of the line that joins the adjacent teeth, although, in the case of a maxillary central incisor, the fixture can be positioned slightly more distally than the central counter-lateral due to the need to account for the mesial surplus for the permanent crown. 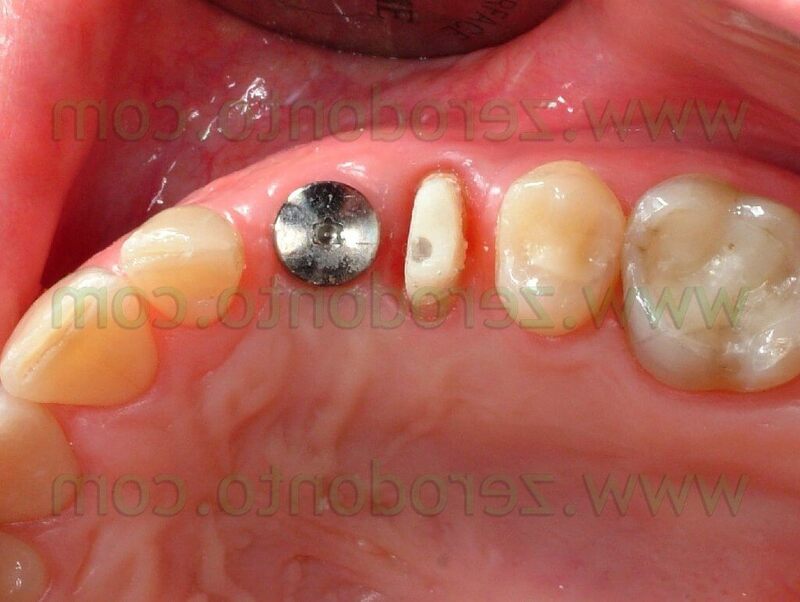 In M-D sense extreme caution has to be taken with the residual distance between the implant and the adjacent teeth: at least 1.5 mm must be left in order to let the papilla mature. The formation of the papilla does not depend on the implant, but on the underlying bone support: as a matter of fact, the soft tissues follow the bone in its reshaping processes. It has been proven that the average thickness of soft tissues is 4.3mm ± 1mm. Tarnow observed that the presence of the papilla depends on the distance between the bone crest and the contact point: when this distance is = 5mm the papilla will always fully mature. As soon as this distance increases to 6mm, in 50% of the occurrences, the papilla will be open and show the classic “black triangle”. 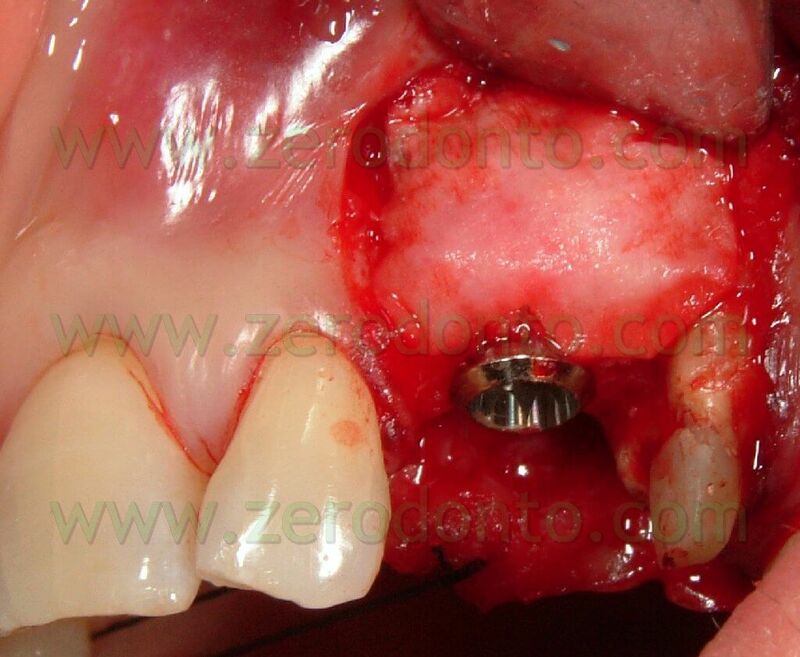 For this reason, when performing a prosthetic restoration on anterior region implants, it is fundamental to try and bring the contact point as apically as possible, in order to avoid soft tissues loss. 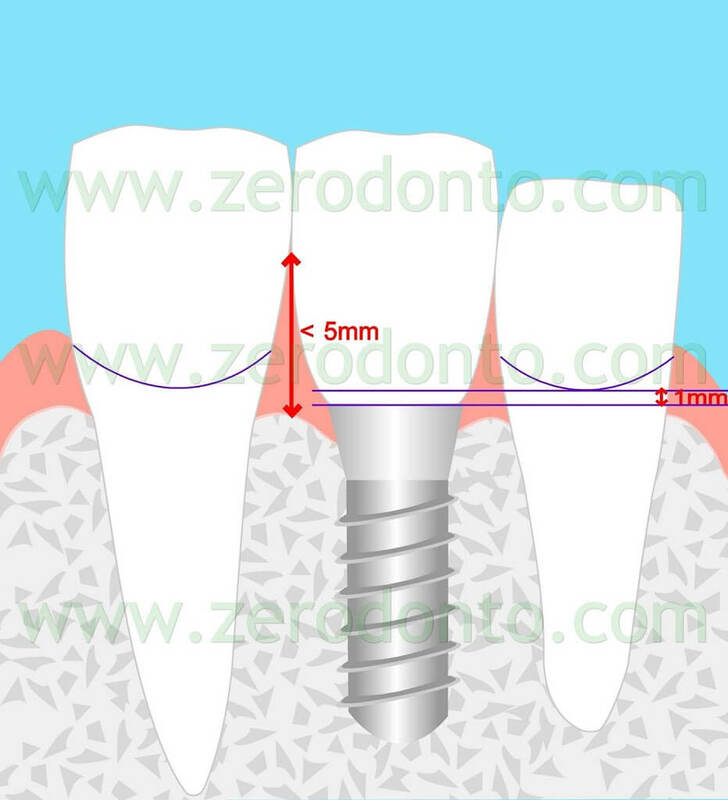 When the M-D distance between tooth and implant is less than 1.5 mm the loss of the papilla in that area will be a certainty, due to the bone resorption of the adjacent tooth. 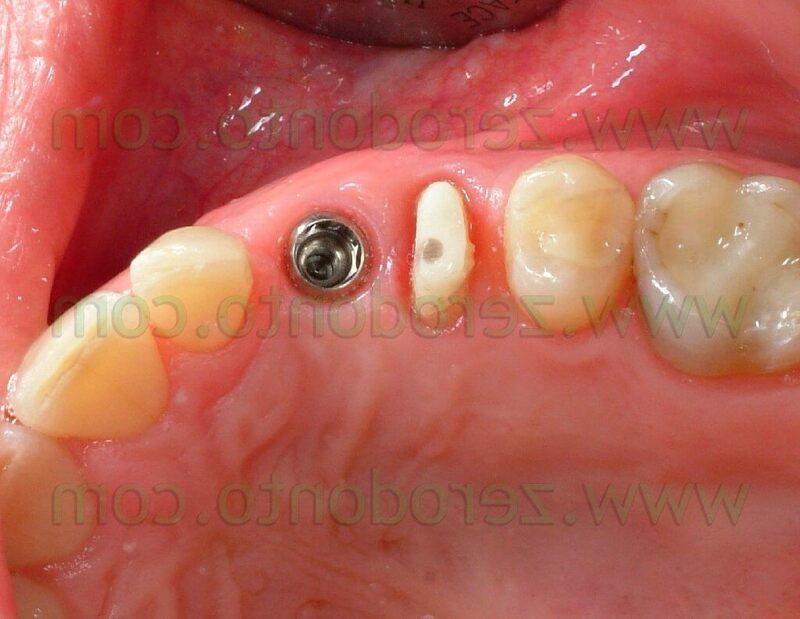 For this reason it is paramount to choose the implant of the right size for each site. 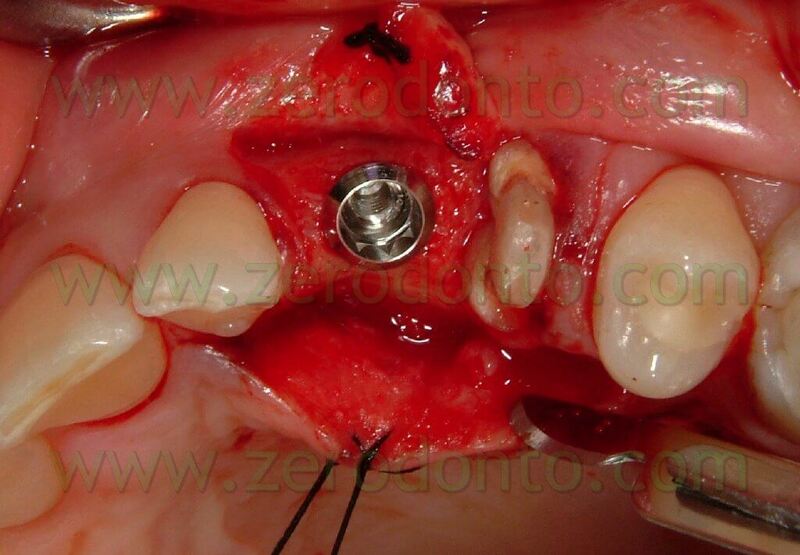 In the case of mandibular incisors reduced diameter implants will be used. 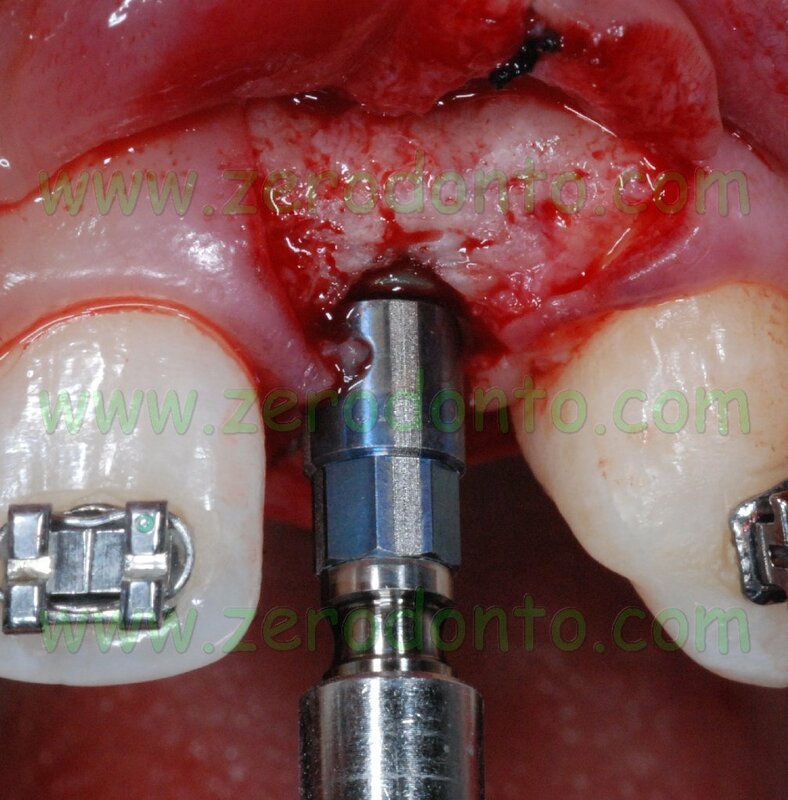 In the case of maxillary central incisors or canines 4mm diameter implants will be used. 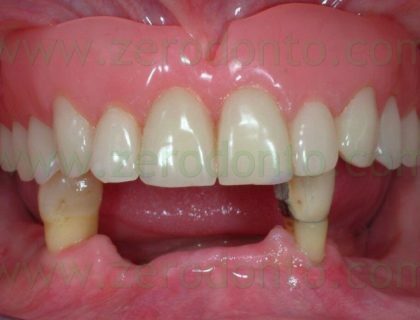 In the case of lateral incisors the choice will depend on the circumstances, according to the found spaces. 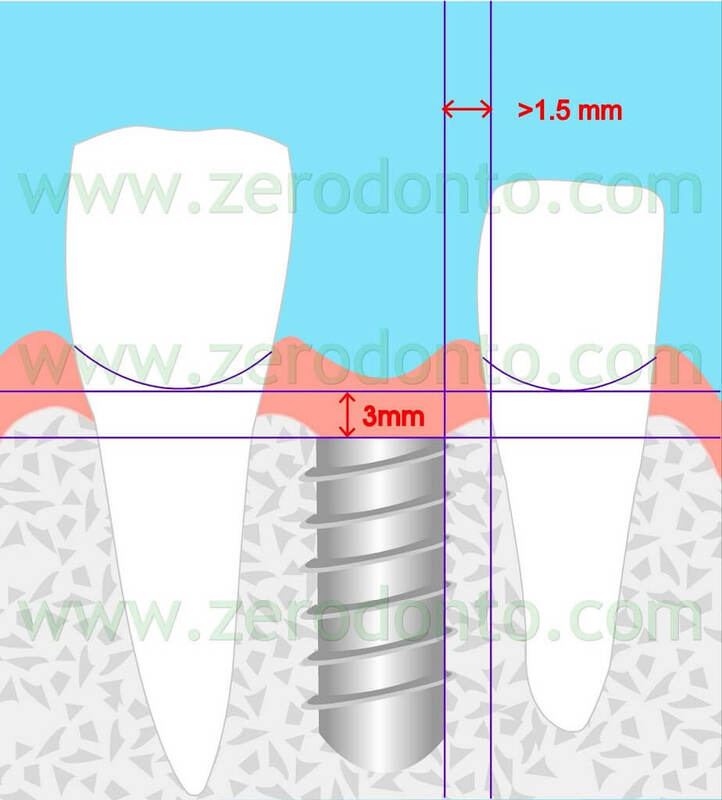 In coronal-apical sense, a sunken implant will have to be inserted with the shoulder positioned 3mm more apically than the line that joins buccally the cementoenamel junction of the adjacent teeth. 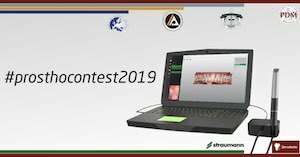 A transmucosal implant with a 3mm extraosseus portion (Straumann Implant), will have to be inserted with the shoulder positioned about 1mm more apically than the cementoenamel junction of the adjacent teeth. Inserting the implant too apically may cause a severe bone resorption leading to important recessions and subsequent aesthetic damage. 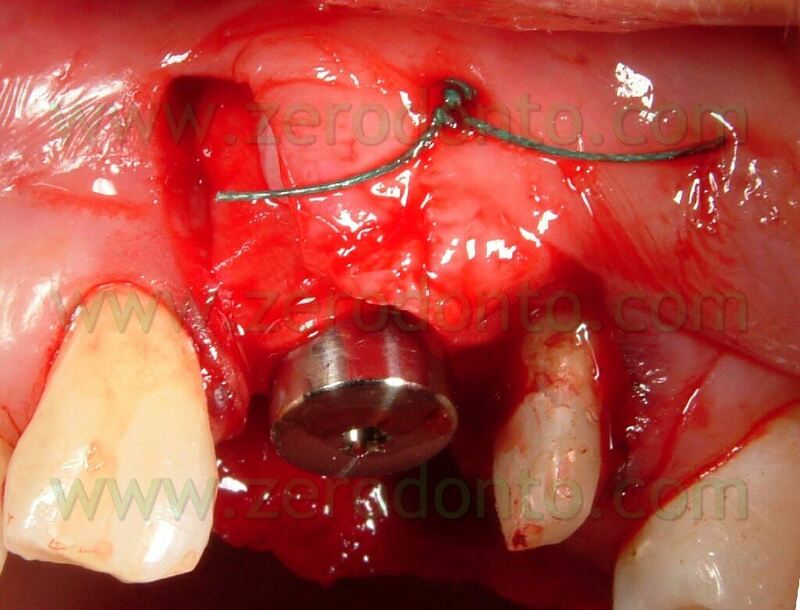 In this case extreme care has to be paid to the remaining bone thickness on the buccal side of the implant. If the thickness is less than 1.5mm a vertical bone resorption in the area is very likely to happen: this event would inevitably lead to a recession of the buccal soft tissues. 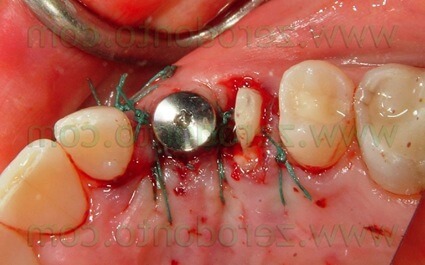 In the case the thickness is not sufficient, the deficit has to be corrected resorting to regenerative or expansive techniques while the morphology of the soft tissues will be corrected by bulking the gingival biotype with connective tissue grafts. Before inserting an implant in the aesthetic zone it is always important to assess the risk factors that may influence the results. Smoke is definitely an unfavourable factor for the success of the therapy. 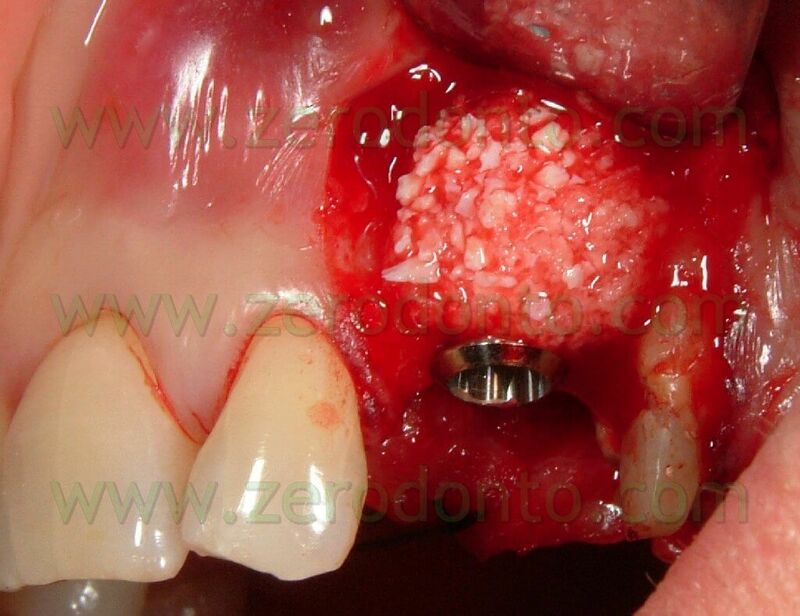 Smoke, as a matter of fact, can exert a negative effect on the carried-out implant procedures, on implant osseointegration and on the onset of long term peri-implantitis. It has been proved that people smoking more than 10 cigarettes a day are to be considered at “high aesthetic risk”. A further element to be taken into consideration is the patient’s smile line. A “medium” smile line exposes the coronal half of mandibular incisors and makes the upper lip touch the neck of the central incisors and the canines slightly. When this line is very high, the typical gingival smile, exposing a portion of soft tissues apically to the maxillary incisors, will be present. In this case it is very important to pay attention to the height, symmetry and shape of the soft tissues, since they are integral part of the rehabilitation. In this case a correct management of the temporaries is of primary importance in order to achieve a good harmony of the gingival tissues. 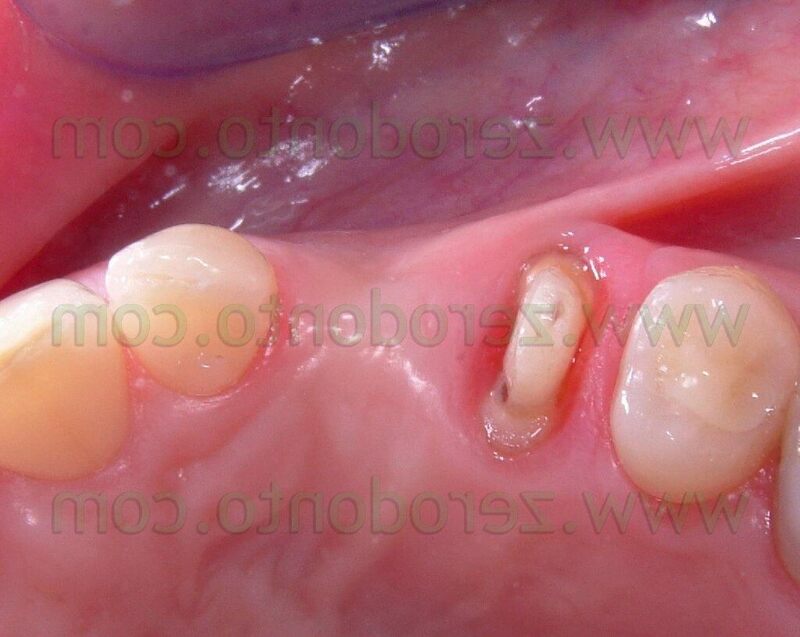 A thin and scalloped gingival biotype is definitely a high risk factor for the aesthetic rehabilitation. 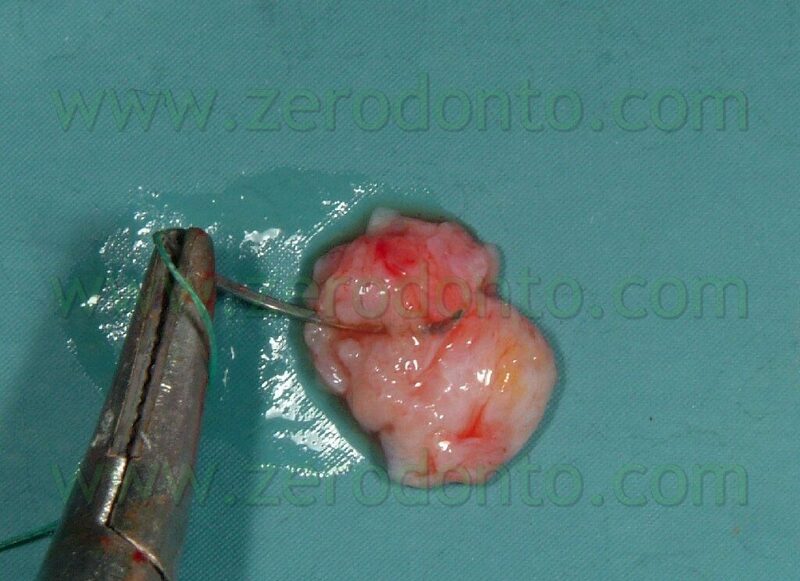 A very thin gum cannot guarantee predictability in the long-term keeping of the interproximal papilla; moreover, there is a also a high risk of soft tissues recession. A further problem that may arise with thin gingival tissue is that it may not disguise the greyish colour of the implant or of sub-gingival metallic elements. 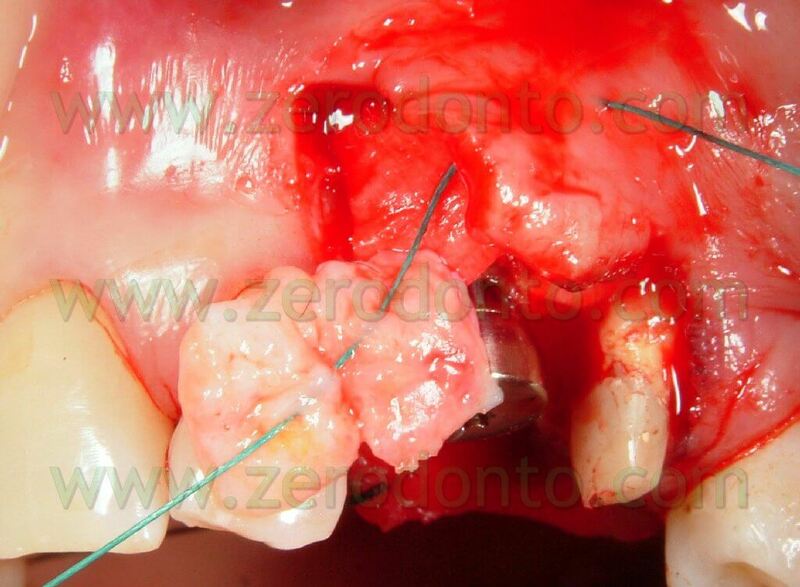 In order to avoid the risks associated with the biotype of soft tissues, during the surgical phase it is possible to bulk the soft tissues using connective tissue grafts and to thicken the buccal bone using grafts: these operations should minimize the risk of recession. 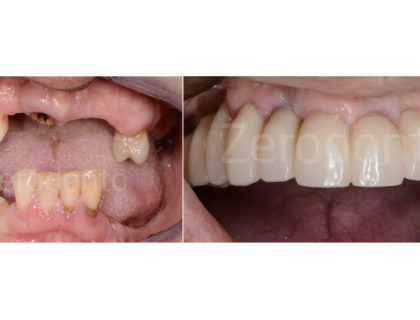 A possible alternative to get rid of the typical greyness of the sub-gingival metallic elements is to use zirconia or alumina secondary aesthetic components. 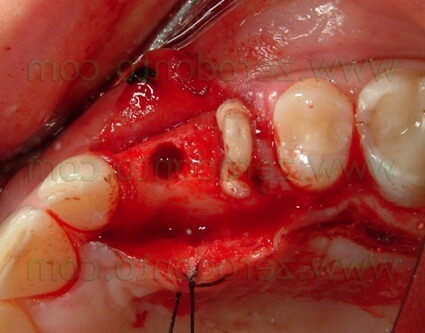 The assessment of the attachment line on the teeth adjacent to the site to be treated is of primary importance for a good management of the case. 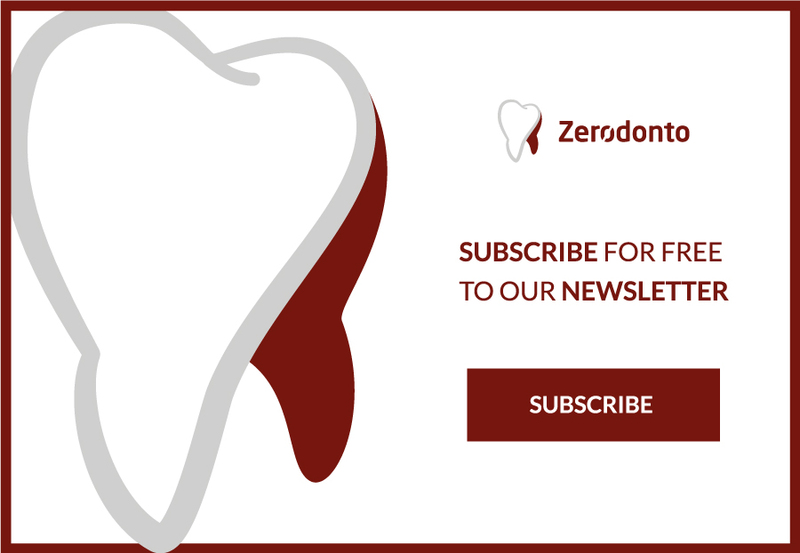 If the teeth show an increased probing depth, it becomes necessary to carry out a periodontal treatment before starting any implant in an adjacent zone. When the teeth show a deficit of both soft tissues and hard tissues there is always the need to take the patient’s expectations into account. In these cases, it is indeed very probable that the papilla will not fully mature because of the distance between the contact point and the osseous level. 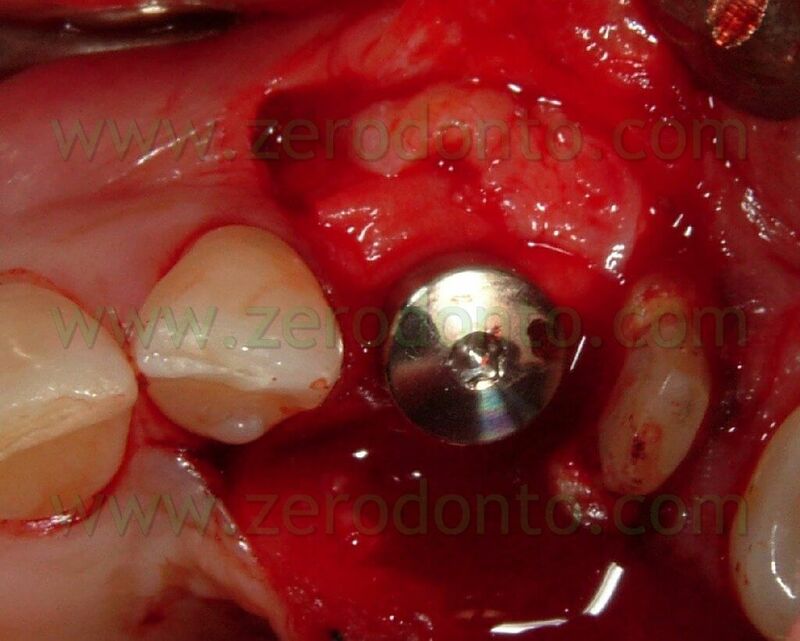 If this distance is >7mm, the papilla will not fully fill the interproximal space. Replacing a single tooth in the aesthetic zone with an implant has always to be approached with extreme caution by the implantologist. What may seem to be just a slight positioning fault may result in aesthetic problems of hard resolution. For these reasons it is always advisable to use a surgical stent as a guide in the various phases of the operation. Andersson B, Taylor A, Lang BR, Scheller H, Scharer P, Sorensen JA, Tarnow D.
Alumina ceramic implant abutments used for single-tooth replacement: a prospective 1- to 3-year multicenter study. 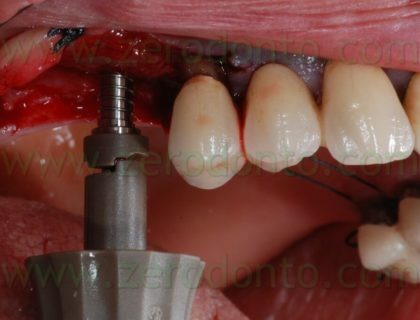 The association between the failure of dental implants and cigarette smoking. 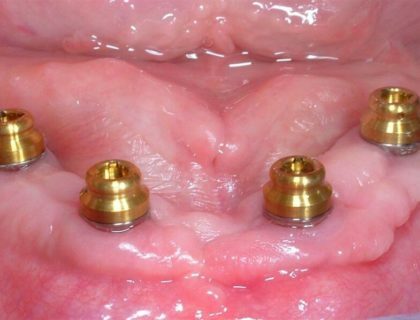 Belser U, Bernard JP, Buser D.
Implant-supported restorations in the anterior region: Prosthetic consideration. 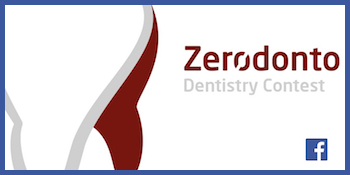 Belser U, Buser D, Higginbottom F.
Consensus statements and recommended clinical procedures regarding esthetics in implant dentistry. Stability of the mucosal topography around single-tooth implants and adjacent teeth: 1-year results. Bone augmentation by means of barrier membranes. Proceedings of the Third ITI Consensus Conference. Tarnow DP, Magner AW, Fletcher P.
The effect of the distance from the contact point to the crest of bone on the presence or absence of the interproximal dental papilla.